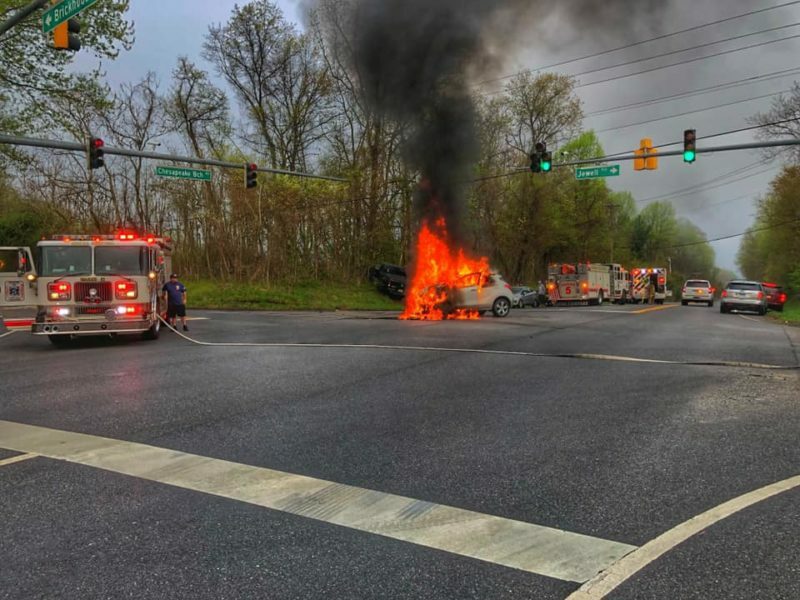 On Sunday, April 14, 2019, at approximately 7:30 a.m., police fire, and rescue personnel responded to the area of Maryland Route 260 and Jewell Road in Sunderland, for the motor vehicle accident reported serious with one vehicle on fire, and one person unconscious. Dispatch further advised one vehicle was on fire with the occupant unconscious and trapped. Crews arrived on scene to find a two-vehicle head-on style collision with one person unconscious, and one vehicle fully engulfed in flames. 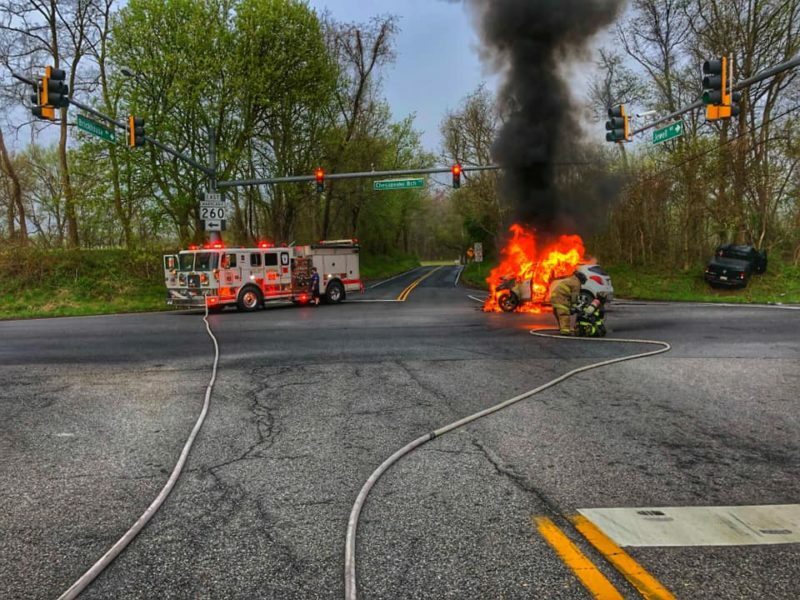 Prior to the arrival of fire and emergency medical personnel, two Good Samaritans were able to free the woman from the burning vehicle. Dunkirk volunteer fire department personnel from Squad 5 and Ambulance 59 began patient care while the crew from Engine 52 deployed the front bumper line making quick work of the fire. Maryland State Police Helicopter Trooper 2 was requested, however, due to weather all helicopters were grounded. One patient was transported by ambulance to an area trauma center. It is unknown if any other injuries were reported. Updates will be provided when they become available. All photos are courtesy of the Dunkirk Volunteer Fire Department. This entry was posted on April 14, 2019 at 11:27 am and is filed under All News, Calvert News, County, Fire & Rescue, Law Enforcement, Top News, z 600X120 Top Ad Bottom, z 600X120 Top Ad Top. You can follow any responses to this entry through the RSS 2.0 feed. All the way from Smaria? And wound up at the intersection of Jewel and Dairyrimple Rd. This intersection is in Dunkirk, not Sunderland.